When I meet with new clients, I’m often asked the question, “What led you to become a massage therapist?”. Like most stories about one’s profession, mine begins with a series of events that put things in motion in ways I never would have imagined. In the next few posts, I’ll walk you through what made me want to enter this amazing field – and what challenges popped up along the way. Have questions about me? You can also check out my official bio. The most important thing for you to understand is my relationship with massage and how it has become a passion. Growing up, I was an awkward kid who did not fit into most social groups. It was during my later years of high school that I was introduced to the world of theatrical arts. I was home. At that moment, I knew my future was there. I had a background in music and I planned on attending Juilliard. Interested in a career in the arts, I sought out opportunities to work on theatrical productions. In one, I served as an assistant musical director and took the first few steps (literally!) toward my future. The choreographer for the production asked me to join her on stage to work out one of the dance segments. I initially declined, but she was persistent and changed my mind. Wow, what a life changing experience! With her encouragement, I realized that I was not as cumbersome as I thought. I gained strength, flexibility, and balance. I felt empowered and in control of my body. Engulfed with a new passion for movement, I enrolled in several dance schools locally and New York City, immersing myself in daily classes and often spending in excess of five hours in a studio. At the end of the day my body was exhausted and I often awakened with severe cramps, body aches, and sometimes even injuries. Then everything changed in my late twenties. Rehearsing the Grande Pas De Deux from The Nutcracker, I was crippled by a severe pain in my back. I left rehearsal. By the time I reached home, the pain was beyond excruciating and I was rushed to the hospital. My lung collapsed from a congenital cyst. After it was inflated, it collapsed again. And again. And again. There were discussions that part of my lung would have to be removed, but fortunately this did not happen. I was hospitalized for nearly a month with chest tubes and limited movement, and I began to develop an agonizing pain in my arm and shoulder. The nurse explained that my muscles were atrophying from a lack of movement. Instinctually, I stated that I needed a massage. The nurse thought I was joking and replied in kind. 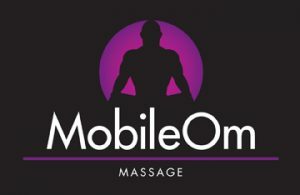 Later, I mentioned it to my father, but living in a small town we did not know where to even find a massage therapist. My father said that he was no professional but that he would try. Even unskilled, he provided much needed relief to my weary arms and shoulders. I was discharged from the hospital almost seventy pounds heavier. Unfortunately, the combination of weight gain and impaired cardiovascular system took a toll and placed additional strain on my knees and back. Further complications arose when a drunk driver rammed my car into a wall, requiring me and my passengers to be removed using the Jaws of Life. I never thought it was going to go this way. I grew angry at this chain of events and quit my career as a dancer and choreographer. But I hadn’t discovered massage therapy – yet.